You've braved the elements, spent hours lying in wait, and had your share of near misses, but you've finally bagged that prize whitetail or mule deer. Now what? In this wide-ranging guide, Dennis Walrod tells you everything you need to know to maximize the use of your deer. 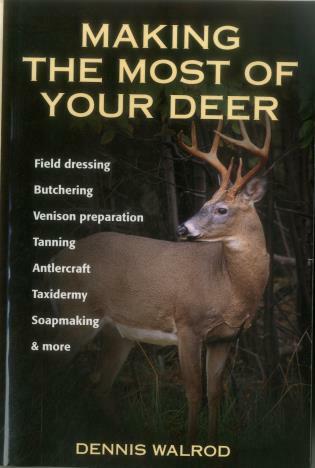 In addition to essential instruction on field dressing and transport, the author goes on to cover salting and tanning hides, aging venison, leathercrafting, soapmaking, trophy mounting, and creating home furnishings and decorations. Also included is a selection of mouthwatering venison recipes, making this an indispensable resource for any hunter looking to extend the hunting experience beyond the moment of the kill.